A few weeks ago, Melissa Clark wrote an article for the NY Times about Pierre Reboul, the pastry chef at Kurt Gutenbrunner's new restaurant, Thor, in New York City. Gutenbrunner is also the chef at Wallse and Cafe Sabarsky, which is one of my favorite New York places. The atmosphere, the food, and especially the desserts transport me back to Germany (via Austria, I suppose). So, in a roundabout way, I expected Reboul's recipes to be something very special. The clafoutis with concord grapes that I tried was bizarre from start to finish. Not necessarily bad, mind you, but bizarre. The recipe called for a pound of Concord grapes to be peeled and seeded. PEELED AND SEEDED, PEOPLE. The things I do for this blog, I tell you. It's enough to make a girl want to poke her eye out with an Oxo cake tester. So, yeah, the process is about as fun as it sounds. And it takes forever. 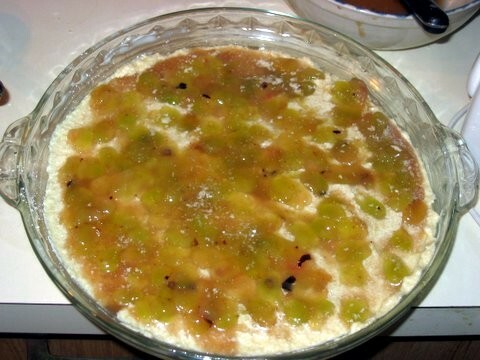 I warn you herewith, for God's sake, if you are intent on making this recipe, choose another fruit to make it with. The grapes are not that essential. 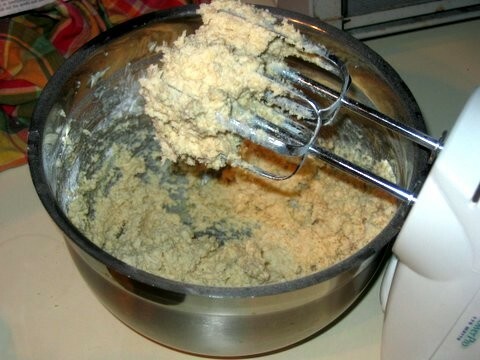 Then, the recipe stipulates a few spoonfuls of cookie crumbs to be added to the batter. What? In a clafoutis? Whatever happened to plain old flour? I soldiered on. The batter was to be prepared with ground almonds and cookie crumbs, plus some butter and a mound of confectioner's sugar that would have struck fear into the heart of any dentist. Now, I understand that pastry chefs are under a certain amount of pressure to create desserts that must do many things at once: evoke memories, highlight seasonal ingredients, vary from run-of-the-mill desserts listed on other menus, and taste good. Sometimes the result is a dessert that transcends its previous state into something wondrous and new, yet still delicious and even familiar. And sometimes this pressure results in a dessert that leads you swiftly to think, why, oh, why did the original have to be messed with? Some things should not be improved. A classic clafoutis, fruit peeking through the delicate, pancake-y batter, is one of these things. In the end, this clafoutis was no clafoutis, it was a cake. I suppose this is what I disliked about it. 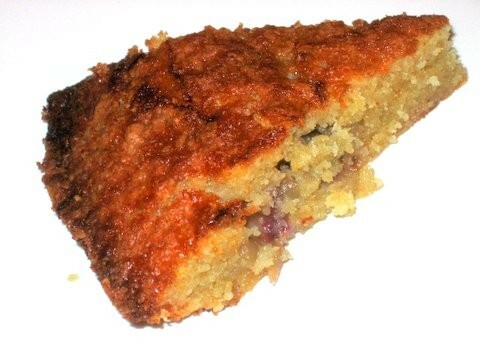 An unleavened, buttery cake with a nubby, sticky, crumbly texture. My roommate liked it, Ben gave it the thumbs up, and I'm sure my colleagues will devour it when I present it to them in a little while. But for me, the clafoutis was a disappointment. After creaming together softened butter and a mess of confectioner's sugar, I added eggs, some salt, pulverized almonds and the crumbs from four shortbread fingers whizzed to bits in a food processor. 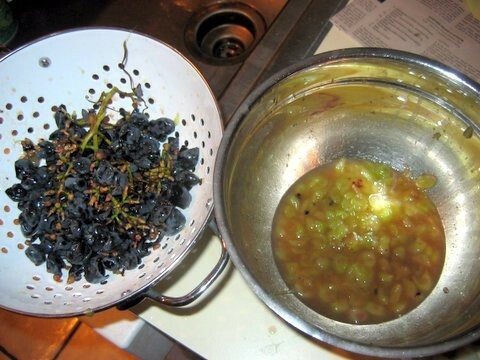 I spread the batter in a pan, then covered the top with the grapes and some of the juices. 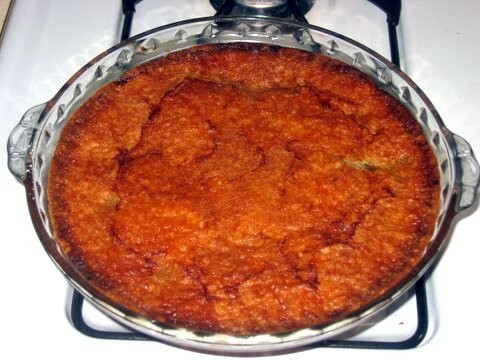 I baked it for just over an hour, until the top was golden brown and set.